As the year comes to a close, we would like to thank you, our readers, for choosing CEG as your trusted source for construction news. 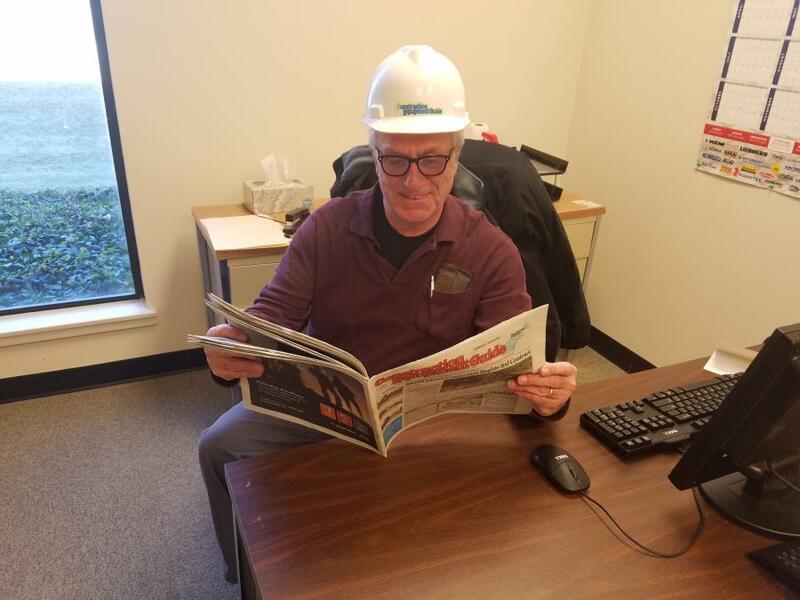 As the year comes to a close, we would like to thank you, our readers, for choosing CEG as your trusted source for construction news. While this year has seen a multitude of major construction projects, announcements, legislation and more, 10 stories topped the list as most-popular, chosen by our online community. When finished, a water supply project under construction in Atlanta will not only be the largest ever undertaken in Georgia, but provide greater capacity than any other in the United States. It also is the site of a unique drilling technique never before utilized on the east coast. Efforts in Seattle to dismantle the custom-made tunneling machine fondly dubbed “Bertha” are proceeding as planned. The tunneling machine was used to carve a 1.7-mi. tunnel beneath the city of Seattle, a task that was begun in April 2013. Ring Power and Company Wrench have signed a partnership agreement that will position both companies to better serve the scrap and demolition markets in Florida. Company Wrench is an Ohio-based company that manufactures, sells and rents equipment at nine facilities throughout the U.S., including one in Lakeland, Fl. Company Wrench also provides specialized conversion services, manufacturing ultra-high-reach demolition machines that extend up to 100 ft., and customizes machines to accept scrap and demolition attachments. Staying true to the legacy of the Catskills while at the same time looking towards the future, Montreign will combine its 18-story casino, hotel and entertainment complex featuring an 80,000 sq.ft. casino (with 61 table games and 2,150 state-of-the-art slot machines), 391 luxury rooms designed to meet the 4-star and 4-diamond standards of Forbes and AAA, multiple dining and entertainment options, and meeting and conference space with the natural beauty of its surroundings. Montreign, from an architectural, design and use-of-materials perspective, was designed to blend naturally with the pristine and beautiful environment of the Catskills. For the first time in roughly five years, scrap metal prices are on the rise, and it's a much welcome bit of good news after trend that saw some scrap metal companies shutter their businesses. Crews broke ground on the $809.2 million Harbor Bridge replacement project, a structure that, by 2020, will will be the new link from downtown Corpus Christi to North Beach and attractions like the U.S.S. Lexington and the Texas State Aquarium. Officials in Florida said a sinkhole that swallowed two homes in July is growing. Pasco County officials during a news conference said that a large chunk of the hole's edge has collapsed. Two more homes in Land O'Lakes, a Tampa suburb, have been condemned. The sinkhole, which opened up July 14, is now about 260 ft. wide at its widest point. In an effort to remove a longtime transportation bottleneck, crews in Genesee Falls and Portage, N.Y., are constructing a $71 million replacement for the historic Portageville Bridge in Letchworth State Park. The 820-ft. viaduct, one of the oldest railroad bridges in the United States, can no longer meet the demands of a class 1 heavy-freight railroad, and will be removed upon completion of the new arch span. Mike Rowe, known by many as the host of Dirty Jobs, as well as a tireless advocate for the construction industry, stopped by ConExpo 2017 as part of his latest effort to promote the National Excavator Initiative. The program is a foundation dedicated to reaching excavator operators and contractors with safe-digging messages, especially the importance of contacting an 811-notification center before digging. A sun-drenched land of rides, attractions and hotels may be coming to the Arizona desert. The Block Sports Co. of Orlando, Fla., has submitted a proposal to build an estimated $4 billion Disney World-like 1,500-acre themed amusement park and resort called Dreamport Villages near the junction of Interstate 8 and Interstate 10 in Casa Grande, Ariz.